You would need to use our free WordPress plugin – Rainmaker for this. Rainmaker is our free WordPress plugin to collect leads on your WordPress website. It provides you readymade form templates, styles that can be inserted anywhere on your WordPress website. Why should I use Rainmaker? Be a blogger, marketer or a store owner, Rainmaker is your must have tool to keep in touch with your customers. Step 5 : Save the form. That’s it. 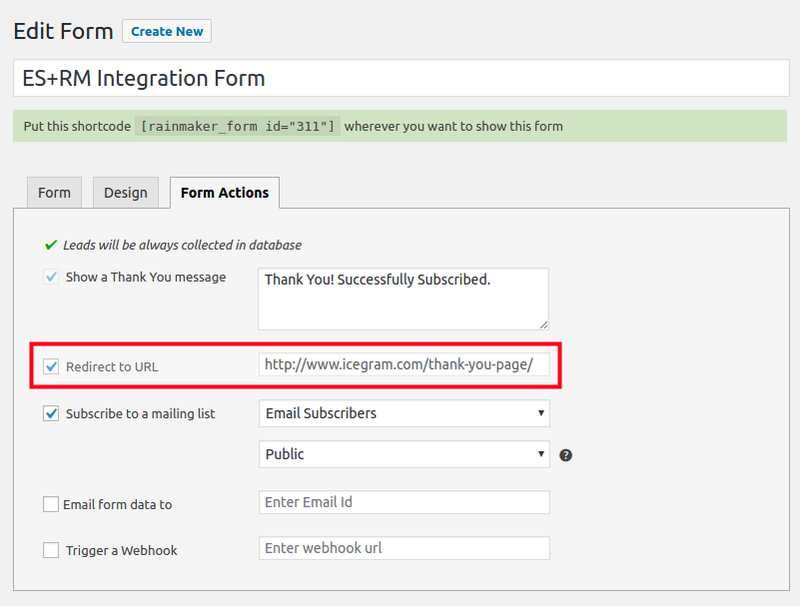 Now, your subscribers will be redirected to the url that you have mentioned after successful sign up from the subscribe form.